It was on the 20th day of March 2018 that it all happened! I never expected it, but it happened. I received an email which was to mark a new breakthrough in my personal and professional growth. Earlier in October 2017, I made an application for the 2018 Mandela Washington Fellowship Program for Young African Leaders, and in January 2018, I was shortlisted for the semi-finalist stage and I had my interview at American Corner, Ibadan, Oyo State, Nigeria, little did I know that I was to become a Fellow. Flashback to October 2016, for the first time I applied for the 2017 Mandela Washington Fellowship Program #YALI2017 and I never made it to the semi-finalist stage. So you can imagine the joy and excitement I felt when I saw that email dated March 20th 2018 from the United States Embassy in Nigeria, informing me of my selection for the 2018 Mandela Washington Fellowship Program #YALI2018. This marked the beginning of a six weeks leadership and academic journey in the United States. 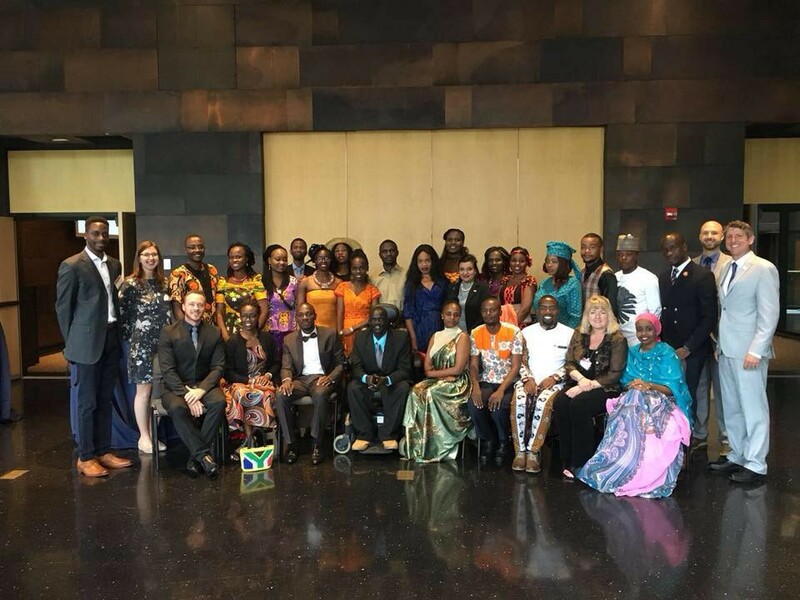 In preparation to the fellowship experience, the U.S. Embassy in Nigeria, organized a Pre-Departure Orientation program, where all the fellows representing Nigeria in the 2018 Mandela Washington Fellowship, were for the first time united. I arrived Minnesota on June 21st 2018, united with 24 other Young African Fellows, and together we had excellent experiences living and studying in the United States. I studied Public Management at the Center for Integrative Leadership, Humphrey’s School of Public Affairs, University of Minnesota and some of the modules studied included Integrative Leadership, Inclusive Development, Global Health Seminar, Policy Analysis, Project Management and others. There were also several site visits outside class room learning which included a visit to Center for Innovation at Medtronic, Mayo Clinic Rochester, Brian Coyle Community Center, State Capital and others. My Minnesota Experience was not just about class activities and site visits. We the fellows also had hands-on experiences executing different service-learning projects. We executed service-learning (community service) projects at Open Arms of Minnesota, Lutheran Social Services, Books for Africa Ronald McDonald House and others. We also had special events such as the Book for Africa Reggae by the Pool, Minnesota Soccer Game, 4th of July Fireworks, a Trip to Duluth, Minnehaha Falls, Minnesota Orchestra Concert and others. All through my fellowship experience, I networked and learned from leaders such as; John S. Adams (Professor Emeritus of Geography, University of Minnesota), Russel Balenger (Circle Keeper, The Circle of Peace Movement), Pepe Wonosikou (Associate Coordinator, International Fellows and Scholars Program, Humphrey School, Univ of Minn), the African Christian Fellowship (Minnesota Chapter) and many others. The coordinators of the fellowship program; Merrie, Chris, Lizzie and Femi, and all the interns that worked closely with fellows at Humphrey School were exceptional in managing people and resources. In all, I had a wonderful fellowship experience and I recommend this program to young Africans who are contributing to the growth and transformation of the African Continent. Application for the 2019 Mandela Washington Fellowship Program is ongoing and the program seeks to empower a new cohort of Young African Leaders, so APPLY HERE on or before October 10th, 2018, if you ready to embark on a life transforming journey. Living and studying at the University of Minnesota, Minneapolis, Minnesota, United States of America. Cyril Uteh is the Founder and Executive Director of Better Life for All Foundation, a youth-led nongovernmental organization serving Nigerian adolescents and youths with sustainable intervention programs focused on drug abuse, mental health, sexual and reproductive health. Cyril also works with the Ministry of Health, Oyo State, Nigeria, as a Health Information Management Officer.